My city hosts Super Bowl XLIX today. From star-studded private parties to the social media protests of #LaserTwitter, here’s what it feels like from the inside-out. We are about six hours from the start of the single largest sporting event in the United States, as I type this. 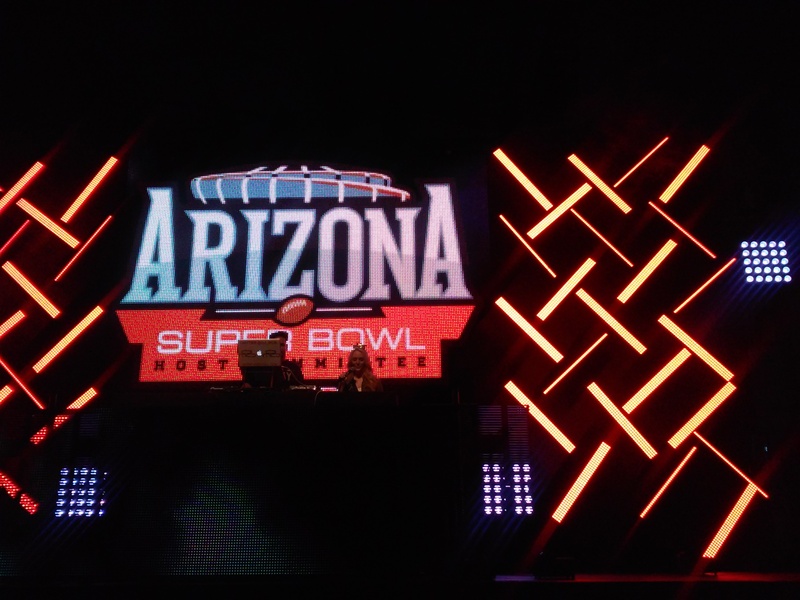 This year’s Super Bowl XLIX takes place in Glendale, Arizona, at University of Phoenix Stadium, which is about a 20-minute drive from my house near north Scottsdale. I’ll be honest: I’ve never been a big fan of football. I couldn’t care less who wins the game today. My interest in massive sporting events like the Super Bowl lies in all the peripheral activity, particularly the music and food at Super Bowl parties. 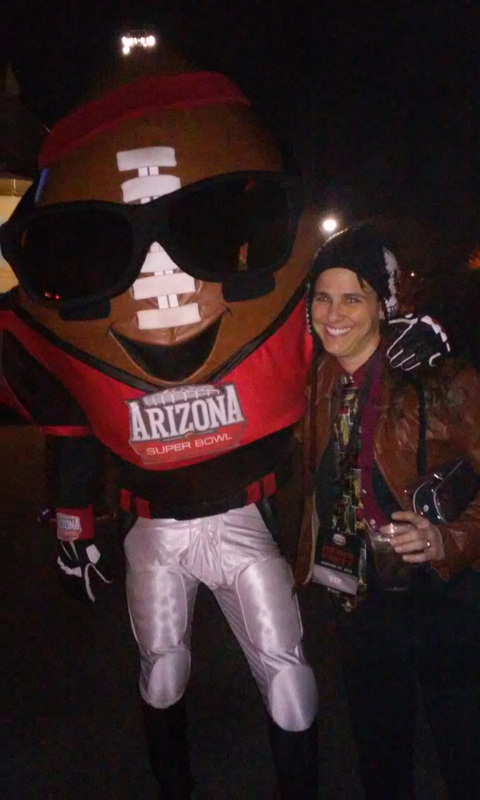 Typically, as a member of the media, I have enjoyed access to private Super Bowl parties and exclusive events. When Super Bowl XLII was here in 2008, I spent the weekend going to hip-hop shows (Snoop Dogg, Diddy, Ludacris) and working the red carpet as a parade of notable folks went by (Danica Patrick, Nick Lachey, Shawn Marion). This year, I had arranged access to a variety of bashes, including the host committee’s media party on Tuesday, a private party with The Roots on Friday, and the Bud Light House of Whatever with DJ Steve Aoki on Saturday. I managed to make the media party on Tuesday, but Thursday morning, I started exhibiting symptoms of a nasty flu strain, and have been confined to my home recovering since Thursday afternoon. In lieu of attending parties, I’ve been looking at everyone else’s photos and reading various stories about the Super Bowl. Like this one, detailing the millions in tax rebates the NFL will receive for Super Bowl tickets this year. The rebates are reportedly part of the many, many ways a host city tries to sweeten the deal when luring a Super Bowl. And if the NFL fining its players for wearing a non-sponsor brand of headphones didn’t give you an idea of how possessive the league is over its brand and its sponsor brands, then consider the myriad requests a host city must grant. Bud Light is an official sponsor of the NFL. No other beer brand banners or signage are allowed in Super Bowl Central. Media partners were asked to not feature Arizona craft beer over Budweiser in their coverage. One of the many “requests” the NFL made to Minneapolis (host city in 2018): “Removal of ATMs that conflict with ‘NFL preferred payment services.’” Check out former Minnesota Governor Jesse Ventura’s ire-filled indictment (and laundry list of NFL requests) in the video below. In addition to the “NFL-preferred” requests, the part of the video that struck me the most was that the NFL is a nonprofit organization – that makes about $9 billion a year. Again, I’m not a football fan, but I wonder how much philanthropy the NFL really does? Seems to me it’s the individual players and their charity organizations that are making the differences in communities, not the league’s corporate office. At any rate, there’s no question all kinds of profits are being made across the board and for sponsor partners/brands.